It seems Foxy understands the concept of pillows. 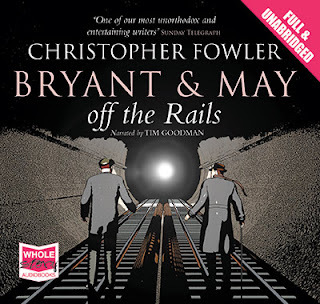 Bryant & May Off the Rails is the eighth in this series which features London's Peculier Crime's Unit (the PCU) headed up by London's two most ancient detectives Arthur Bryant and John May. Fast friends but with completely different ways of working. Off the Rails pretty much follows on directly from the tragic end to On the Loose. The PCU have one week to find the elusive killer, Mr Fox, a chameleon who is drawn to King's Cross Station. If they don't solve the case then they'll be shut down. A second case is presented to them when a young woman is pushed down a flight of stairs in King's Cross Station and a sticker is left on her back. This sticker leads the team to the Karma bar and on to a house in Bloomsbury full of students. When one of the students impossibly disappears off a late-night underground train then pressure is increased on the remaining students as Arthur becomes convinced one of them is behind the disappearance. The fascinating history of the London Underground is imparted to the listener via Mr Bryant and the security team at King's Cross. All sorts of legends and rumours as well as hard facts are presented and of course there's a field trip down there by Bryant and May. After much surveilling of suspects and attempts at magic tricks by Arthur, all routes finally lead to King's Cross in a dramatic ending where murder is thwarted by a most unlikely source. This is another good entry in this innovative and informative series which mixes history with laughs. There is a late scene with "Acting Temporary Head of the PCU" Raymond Land which made me snort loudly on the train, delivered in such a dead-pan way by the always excellent Tim Goodman. Land also makes some attempt to clear up how old the two senior detectives are as he reckons that Arthur has moved the first case, Full Dark House, back by 15 years. Arthur disputes this so we are none the wiser. Christopher Fowler is possibly the UK's answer to Fred Vargas, both take events which appear to be supernatural and provide rational explanations and both Bryant and Vargas's Adamsberg have very unorthodox ways of getting to the truth. Read another Euro Crime review of Bryant & May Off the Rails. More reviews of Christopher Fowler's books can be found on the Euro Crime website. I'm very pleased to read in today's Publishers Lunch Weekly that a US deal has been made for Andrea Gillies' The White Lie, which I reviewed recently. It's rather a long wait though! 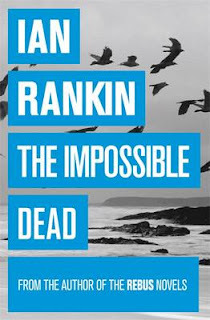 The UK (mass) market paperback is out on 5 July. Andrea Gillies's THE WHITE LIE, in which a man haunts the woods near his family's crumbling estate in the Scottish highlands and unwinds the complicated, contradictory tale of the secrets they have kept and lies they have told to protect their legacy, to Houghton Mifflin Harcourt, for publication in Spring 2014. I'm back after a few days in the Lake District. It was very wet! and Lynn Harvey reviews Juli Zeh's intriguing The Method, tr. Sally-Ann Spencer which is not a crime novel as such but "a "what-if" novel". Set in 1938 Berlin, CONSPIRACY is a fast paced thriller charting the fortunes of Conrad de Lancey, an Anglo-German pacifist who inadvertently becomes involved in the first plot to kill Hitler as Europe stands on the brink of war. A further novel has also been contracted. Head of Zeus will publish in hardback as a lead title in Spring 2013. Corvus will continue to publish Ridpath's Icelandic based Fire and Ice series. Michael Ridpath's Euro Crime bibliographical entry with reviews is here. 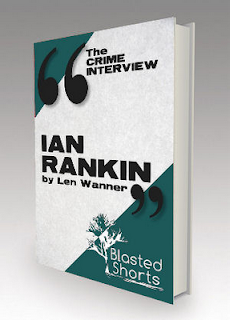 To promote Bloody Scotland, Blasted Heath are currently giving away an ebook containing a 13,000 word interview with Ian Rankin by Len Wanner. It's free for the next 7 days only and you must enter the code stirling in the checkout. I've been away for a few days and it seems the sheer volume of email traffic threw Thunderbird into a meltdown and it deleted my eurocrime email inbox (not my weatherwax one). If you've emailed and not heard then please resend your message and I will get back to you. A more robust system for my email is being implemented. 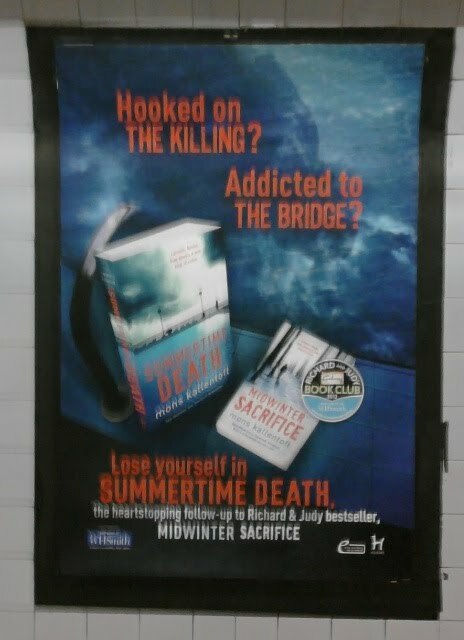 Euro Crime reviews of Midwinter Sacrifice: here and here. and Maxine Clarke reviews the Ellis Peters Historical Dagger 2012 shortlisted A Willing Victim the fourth in Laura Wilson's Ted Stratton series. 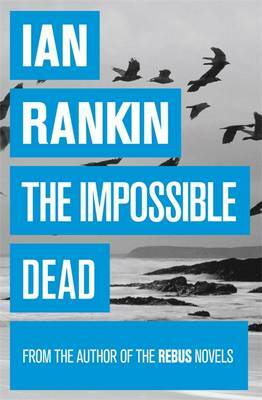 Ian Rankin's books are being rejacketed by Orion to match the newest style as shown on The Impossible Dead. 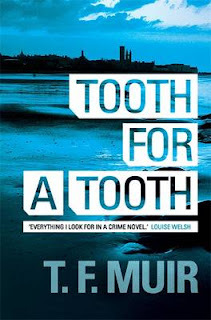 Fellow Scottish crime writer TF (Frank) Muir's third book Tooth for a Tooth will be out in September from Constable. 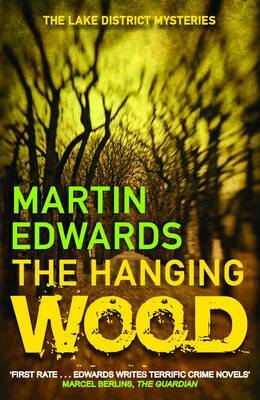 Just a note to let you know that the latest in Martin Edwards's terrific Lake District series, The Hanging Wood, has just come out in paperback. Maxine's review for Euro Crime of The Hanging Wood. 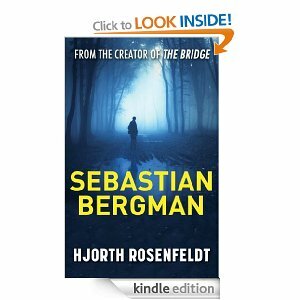 However the first in the Sebastian Bergman series written by (duo) Hjorth Rosenfeldt, originally to be called Dark Secrets (the Swedish title is The Secret), and now retitled as Sebastian Bergman, is available to buy now on Kindle. The print version will be available on 5 July. I haven't watched these episodes yet (surprise) but it seems that the first episode was based on this book and the second on the second book in the series, The Disciple (not yet available in English). An electrifying Swedish international bestseller - the first in the Sebastian Bergman series. Now a hit BBC4 TV drama starring Rolf Lassgard, the original WALLANDER, as Bergman. 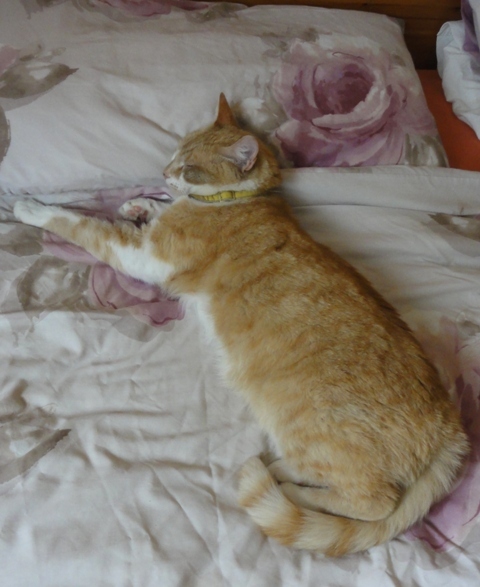 Sixteen-year-old Roger has vanished. Days pass and Västerås Police do nothing, blaming his disappearance on teenage antics. Then Roger's pale, mutilated body is found floating in a shallow pond, his heart missing, and the experts descend. They need Sebastian Bergman. Top criminal profiler and angry, self-destructive mess, Bergman is no stranger to secrets. Desperate for access to police files, he plays along, until the brittle web of lies and deception seizes his full attention. But Roger had his own secrets - dark secrets that are tearing apart the very fabric under which they all survive . 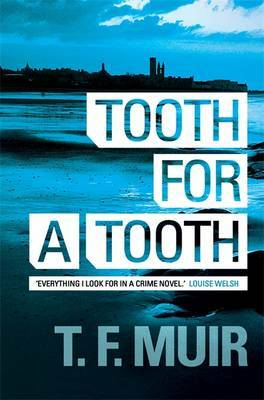 . .
A page-turning, atmospheric thriller to rival the very best of Jo Nesbo, Henning Mankell and Stieg Larsson. The electrifying thriller from the writers of BBC4 Swedish TV drama SEBASTIAN BERGMAN and the creator of the hugely successful series THE BRIDGE. The Author Websites page now lists 943 sites. In Bibliographies there are now bibliographies for 1793 authors (9143 titles with links to 2303 reviews). I've added new bibliographies for: Elizabeth Bailey, Jefferson Bass,C C Benison, Conor Brady, Audrey Braun, Bernadette Calonego, Alexander Campion, Karen Charlton, Ed Chatterton, Alex Churton, Michael Clifford, A J Cross, Kate Darby, Anders de la Motte, A M Dean, Victor del Arbol, Luke Delaney, Elanor Dymott, Barry Fantoni, Jurgen Fauth, Carin Gerhardsen, Andrea Gillies, Thomas Glavinic, Helene Gremillon, Wolf Haas, Tessa Harris, Annie Hauxwell, Tony/Anthony Hays, Fabrice Humbert, David Jackson, Dan James, Hanna Jameson, Gerald Jay, Meurig Jones, Will Jordan, Pia Juul, Max Kinnings, Anya Lipska, Susan Elia MacNeal, Claire McGowan, Fergus McNeill, Louise Millar, Thomas Mogford, Mark Oldfield, Regina O'Melveny, Susanna Quinn, Felix Riley, James Runcie, Lloyd Shepherd, Sara Sheridan, John Gordon Sinclair, Joanna Campbell Slan, Eva Maria Staal, Will Thomas, Morley Torgov, Simon Urban, Louise Voss & Mark Edwards, Evonne Wareham and Carlos Zanon. There were no reviews last weekend as I was away at CrimeFest and I've written up a few of the panels here. Don't forget to vote in the International Dagger Polls. and Rich Westwood reviews Cath Staincliffe's prequel to the Scott & Bailey tv series, Dead to Me and he hopes there will be more. Barry Forshaw chairs the Death in a Cold Climate - Scandinavians panel at Crimefest 2012. Stieg Larsson has opened the doors for other Scandinavian authors - light a candle for him - but he is from the north though he writes about Stockholm. AL is often asked how can such a short person write such horrible things? She kills dogs and priest in her books but only gets letters about the dogs. (NB. No dogs (or priests) are harmed in Until Thy Wrath Be Past). Enjoyed writing her first book the most. Says to know an author, read their first book. TE: Burned is the first of six books (originally was looking at eight or even twelve) about Henning Juul (sounds like yule), Pierced is out shortly in UK and he is working on Scarred. All six books about Juul finding out why his son died. HJ has "really pissed someone off". There is more information about the fire in Pierced and there is a teaser at the end, as there was at the end of Burned. RJ: Crime fiction in Iceland - until Arnaldur Indridason (1997) - was looked down on. There are two murders or less a year in Iceland. AL comes from town 200km north of polar circle, 100 years old. Asked - why so much mutilations - is it typical for women? Sjowall and Wahloo are the King and Queen, Henning Mankell is the crown prince, writing in same style. GS showed Prince Charles and Camilla around Bergen for 27 minutes. RJ: The plot and setting is the reason for popularity not the social issues, and strong chars (adds AL), especially in a series. And nature (GS) (ie open space, wildlife). If not having to speak in English the four authors could converse in slowly spoken Norwegian. TE: [Translator] Charlotte Barslund nailed Henning Juul character and GS praising Don Bartlett's translations. RJ: Started reading Agatha Christie when 12/13 and four years later approached the publisher about translating them. GS: Writes 5 days a week, loves his job. 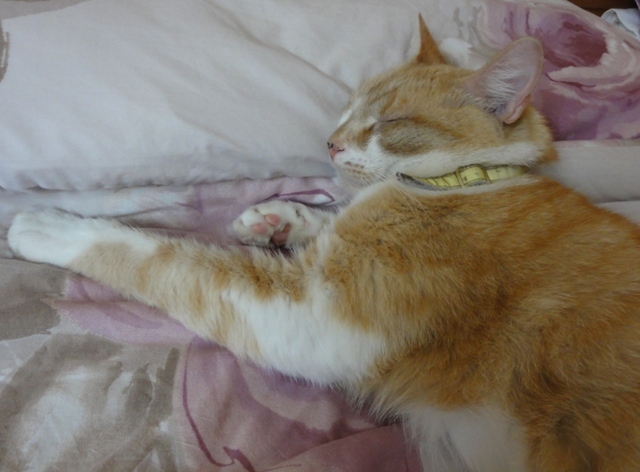 AL wrote 'Wrath' between 4-7am, goes to bed early and this is the quiet time when there are no demands from family or telephone. AL was a tax lawyer. TE: Henning Juul is a real character, these online journalist do exist. GS: Ambassador for the dark side of Bergen. AL: No taboos on what to write. TE wouldn't write about paedophilia. RJ: As you write more your boundaries move. GS: not extreme violence, more about psychology. TE: First draft of Burned was much more humorous but editors stick to conventions and took it out. TE wanted to give H Juul a weapon to deal with his situation. GS borrows from Raymond Chandler. As has become traditional, I have now set up two polls relating to the International Dagger. 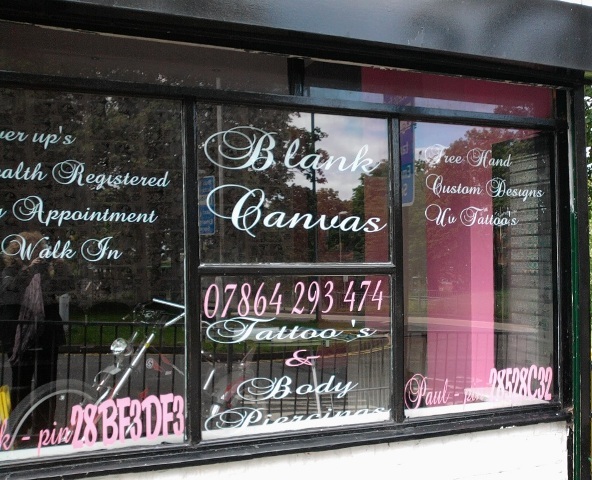 They will close on 4 July. The announcement of the winner of the International Dagger 2012 will be made on 5 July at the CWA's Award Ceremony. Which book do you want to win. Which book do you think will win. The polls can be found on the RHS of the blog. We'll see how much correlation there is between the two polls - and you can see the results of last year's polls here.